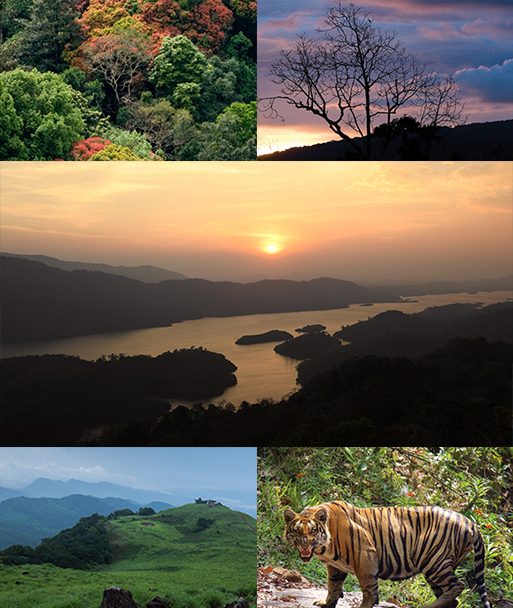 For Chinnar Wildlife Sanctuary in Idukki, rain comes as a much-awaited salvage from the intense heat. Being located in the rain-shadow region of the Western Ghats, Chinnar, missing the generous monsoon in June-July when other parts of the state revel in the deluge, gets its meager share of showers only around November. 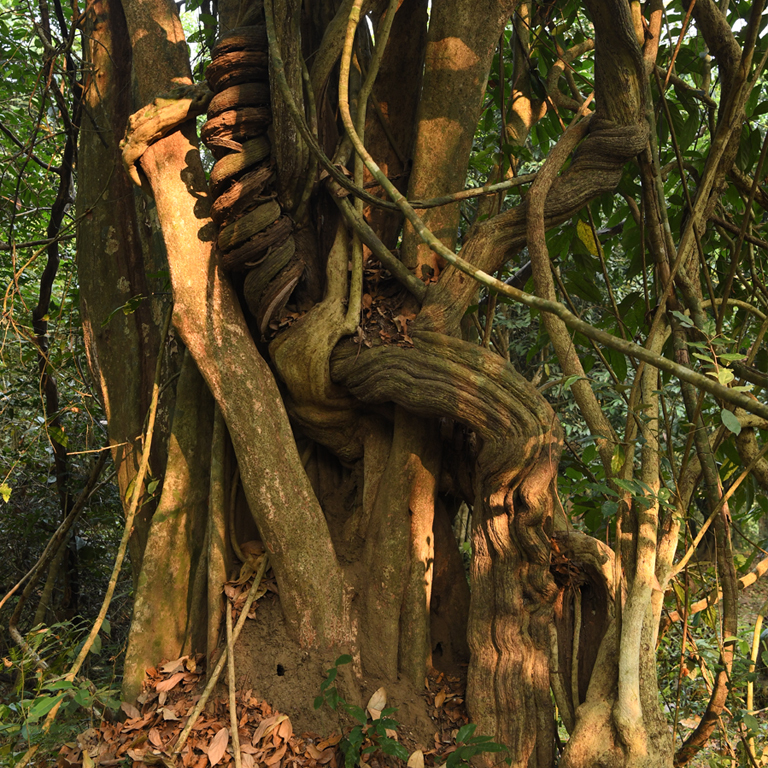 But the climate has its own benefits; it creates a unique ecosystem at the Sanctuary attracting a lot of nature lovers this way. Trekking along the dry forests here in summer is almost like walking through a desert country even though the vegetation is not as sparse. But look everywhere; the trees bereft of leaves, grass all brown, and the heat extreme. 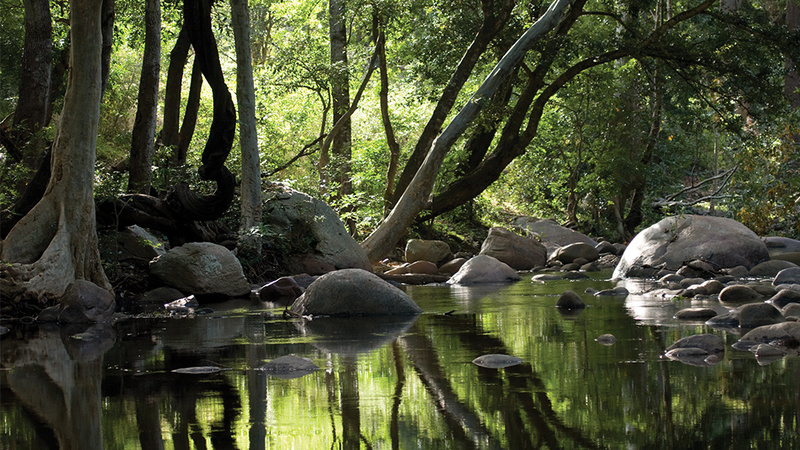 You’d desperately want to keep your trail close to the cool river flowing across the forest. 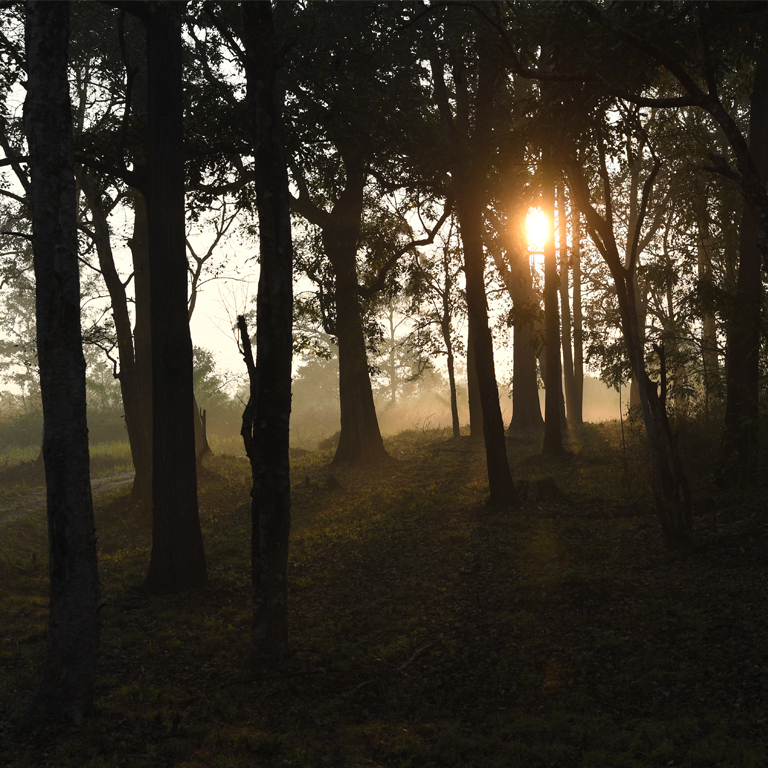 Panthers, Sambar and spotted deer, elephants, leopards, tigers frequent the woods. The sight of a half-eaten carcass of a deer in the bushes may give you goosebumps. You look around with fear as the guide tells you in a hushed voice that the predator can’t be far. Chinnar has the world’s second largest number of grizzled giant squirrels, whose screeches sometimes warn you of the presence of either a big cat or a wheeling raptor in the sky. There are more than 245 species of birds in the woods here, including the famous yellow-throated bulbul. 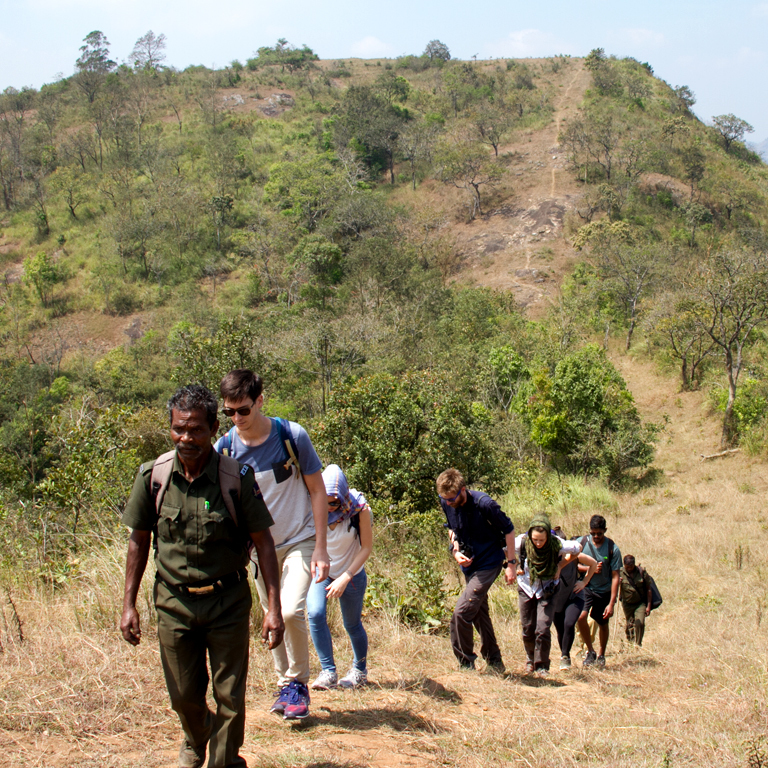 Chinnar offers many treks to the wild organized by the forest department in association with eco-development committees formed by tribal communities. A trek to Vasyappara hut on the crest of a hill and a stay overnight will be a great experience. 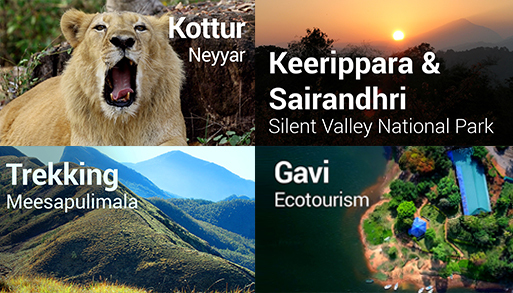 You can also stay on treetop machans in other parts of Chinnar, which can also be arranged by the authorities. A trek to the tribal settlements outside the core area is another un-missable event of the Sanctuary. 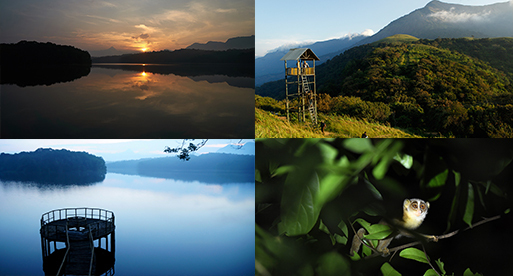 The place is 42 Kilometers from Munnar.